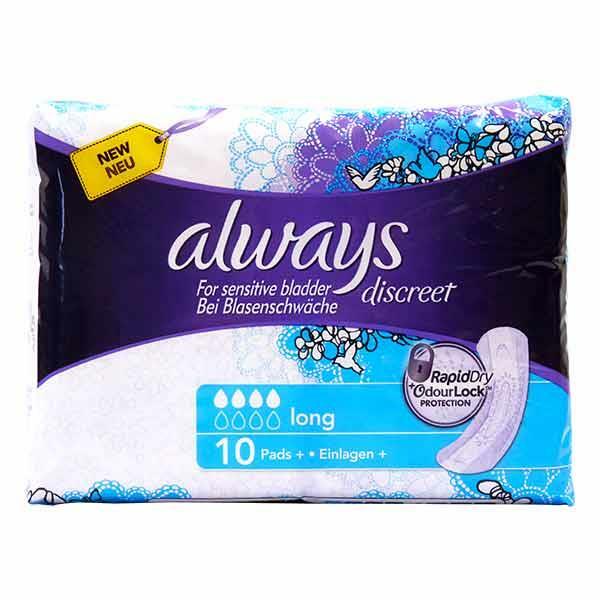 Always Discreet for Sensitive Bladder Long Pads 10 Pack are perfect for use by those who suffer occasional leakage when sneezing or coughing. The rapid dry and dual lock protection locks away moisture and the exclusive odour lock technology, which is lightly scented prevents the risk of odours. These pads are ultra-thin and longer than the normal pads for extra protection and comfort.